Stunning letterhead printing on the finest 120gsm uncoated paper. Perfect for all manner of business uses, our letterheads can be printed single or double sided and at A4 or A5 sizes. Letters can say so much or so little, but one things for sure, with our letterheads, your businesses professionalism will shine through. Printed full colour (CMYK) on 1 or 2 sides our letterheads can be printed A4 or A5 in size. As a general rule, most letterheads are A4 and because we print so many of these together, you do get savings over the A5 size in most quantities. Like our Compliments Slips, we only print letterheads on a 120gsm uncoated paper stock, as this ensures consistency across your stationery. If you are using a laser printer within your office, then we only recommend our 5 day printing option as these are litho printed and this will remove the chance that the ink may run on very long runs in your office printer. Print - These letterheads are litho printed on a 120gsm uncoated (bond) paper. Suitable for overprinting by our clients. 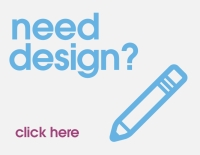 Design - To obtain an estimate for the design of your print, please email design@kaizenprint.co.uk with a brief description of your project requirements. If you want a written quotation for any print or design, please do not hesitate to call our Customer Service team on 028 9002 2474 or visit the Contact Us page to submit a request. Easy online ordering process and delivery on exactly the day agreed. Print quality is very sharp. Have your own artwork? You can use our free templates to help you. Each of our templates are print ready supplied to you with bleed, and crop marks. Download the format you wish to work on below and each template is blank so its simple to add your artwork and save out as a pdf to upload to our website. Letters can say so much or so little, but one things for sure, with our letterheads, your businesses professionalism will shine through. We print letterheads in A5 and A4 size, but as a general rule, letterheads are A4 in size. Like our Compliments Slips, we only print letterheads on a 120gsm Uncoated as this ensures consistency across your stationery. If you need large quantities or are using a laser printer within your office, then we only recommend our litho printing option.